The Waterfall Quilt-Along starts this week! I’m excited to sew along with you over the next 12 weeks. Yes! We will be sewing on this project through the holidays. Instead of thinking of it as one more pressure, think of it as your self-care. Time to reflect and enjoy a little time for yourself. We need to select fabrics! 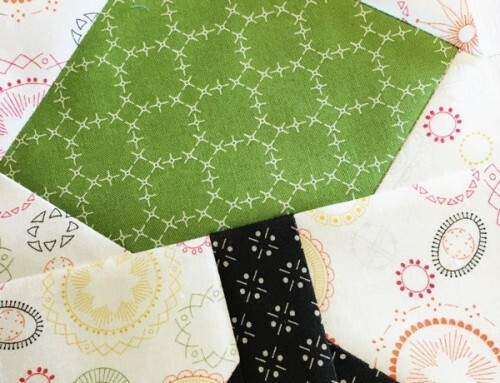 For this quilt, the best way is selecting fabrics in person. If that’s not an option, a good way is to fill up your online cart and keep a few extras that feel right in the group. In my case, I have a couple of color cards that I can work with to find the best combinations. Prints work too, but I do love the crisp feel of the solids in this pattern. Do what works best for you. Lay out the pieces that you love, and make sure they work well with each other. When shopping online, or in a store, pull a lot of options. Lay them out together to get a feel of the movement between fabrics. 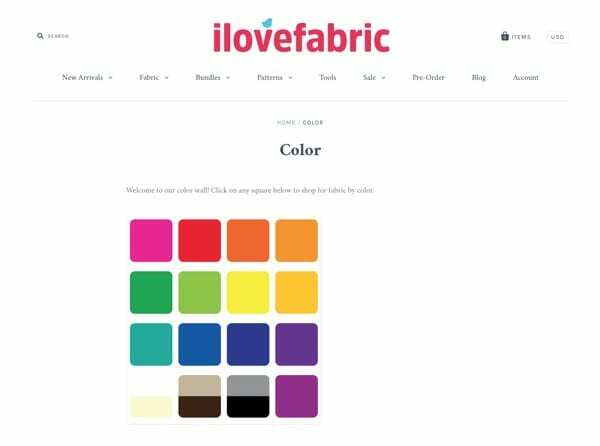 I love the color wall at ilovefabric.com it’s not exhaustive, but a great place to start. 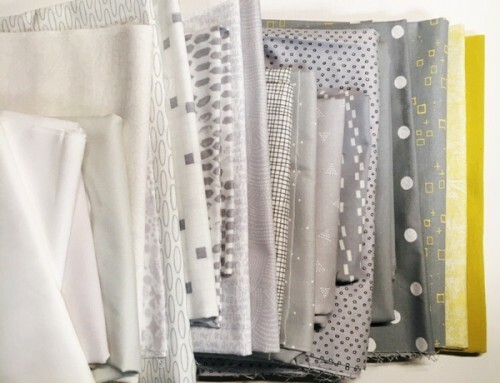 Once you’ve selected a fabric that you like, more fabric in similar tones will be recommended too. The true test comes when you have all your Waterfall fabrics together in front of you. Do they blend easily? Are there any odd-ball colors? 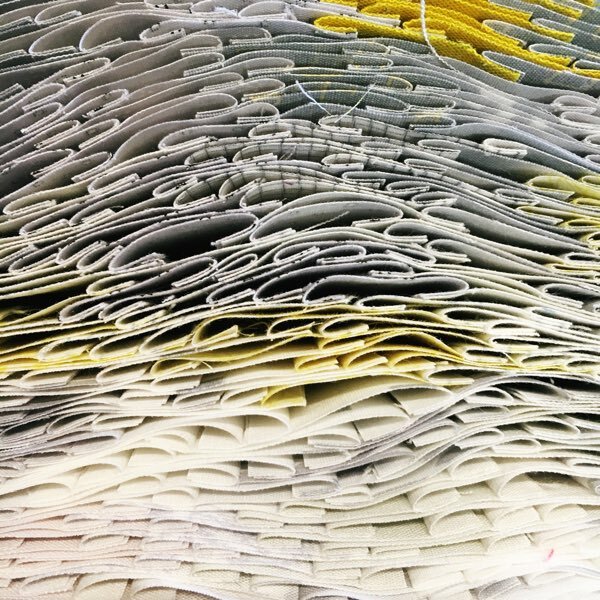 Trust your quilt designer eye as you look over the fabrics, change the light that you look at them in too. Go to a window, or outside for natural light. 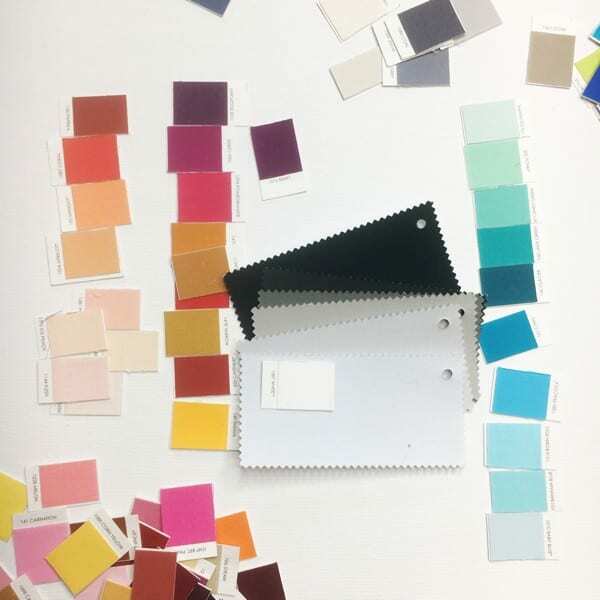 I can’t wait to see which color palette you select to work with for Waterfall! 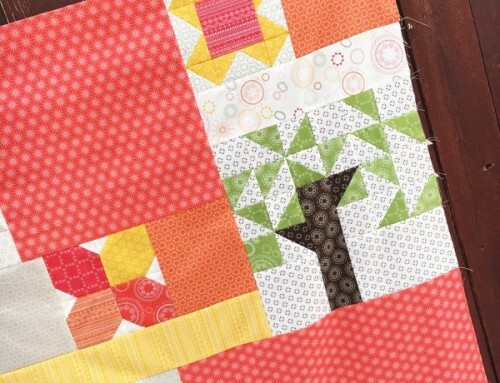 I am thinking of doing this quilt in a lime/yellow green but I wanted to use black or gray as my “white” color. Do you think a darker color will work for the “light”? Absolutely! Maybe get a few shades of grey, so you still have the movement in the blocks. 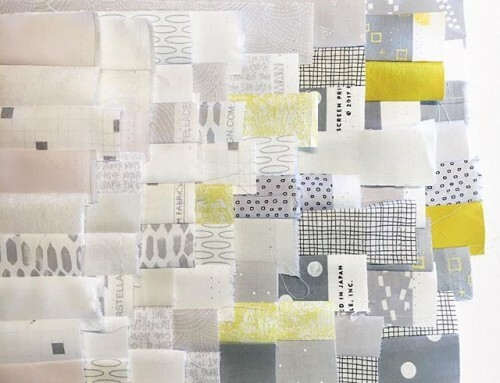 I’m doing this pattern in blacks and greys, to resemble a New York city scape, with shades of yellows and whites. 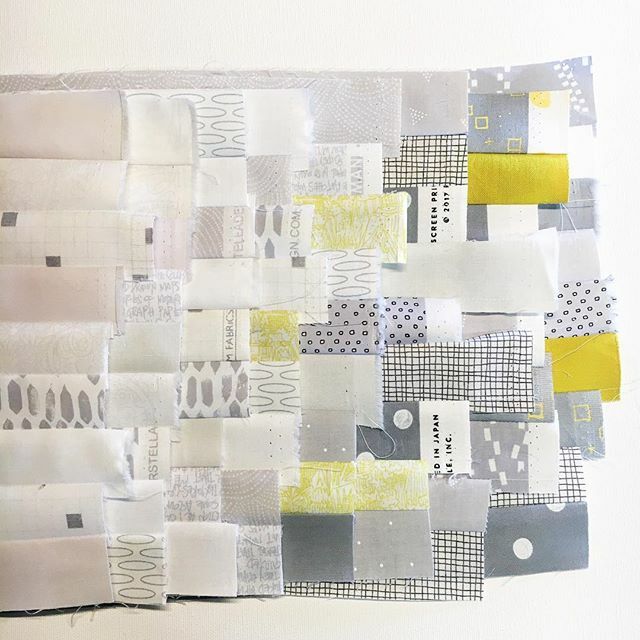 My question is, for the throw a total of 6 1/2 yds is needed, how much yardage would you suggest for the blacks and greys, and how much yardage for the yellows and whites? 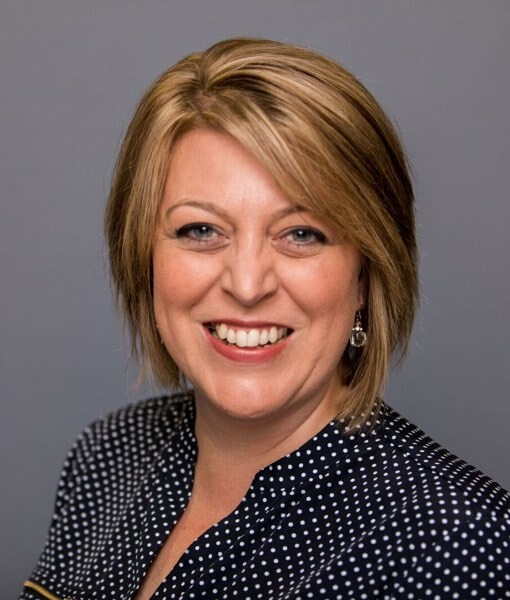 Hi Shelly – Think about the end result. 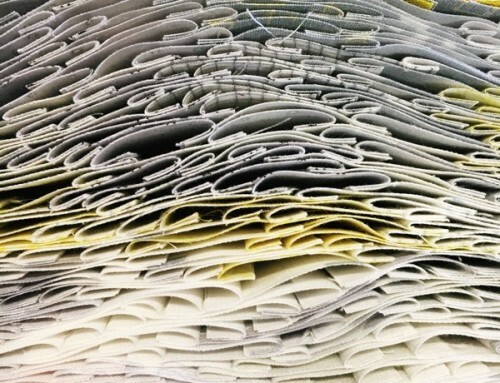 Are you hoping about 1/3 of the quilt is white/yellow or black/grey? or maybe just a 1/4 of the quilt? 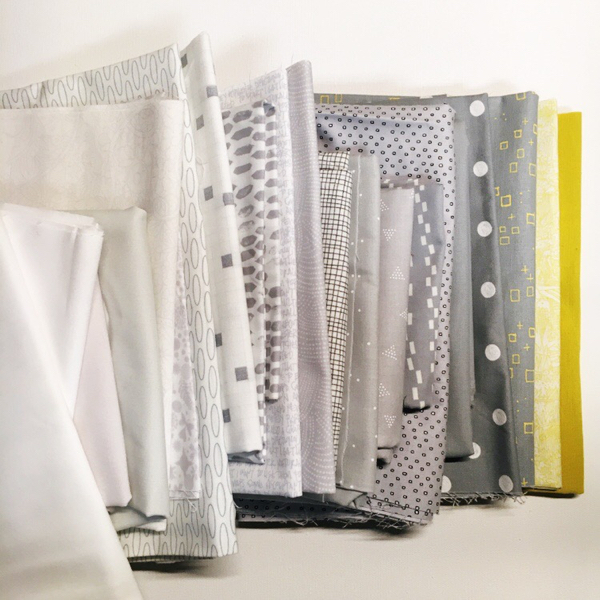 For the 1/3 option, you would need around 2 – 2 1/2 yards of the selected color, then the remaining 4 1/2 yards in the shades of the others. How many different gradients of one colorway do you recommend? 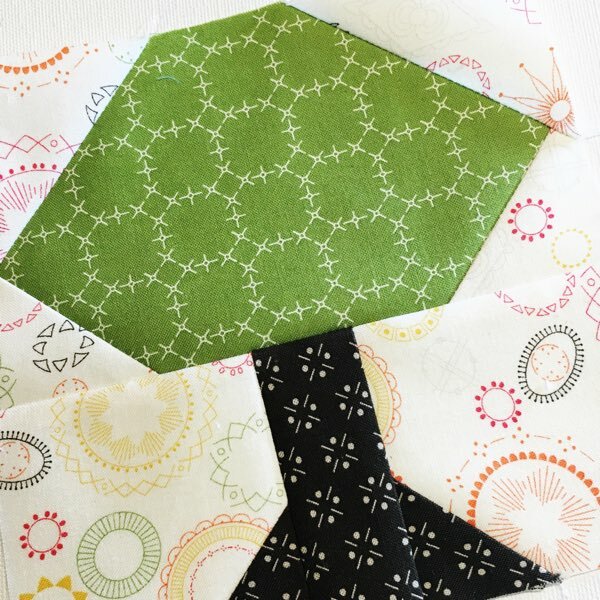 If I choose to do a green quilt, do I pick 12 or 15 gradients of that color and 8 gradients of whatever the top “background” of the quilt will be? Yes! Both of my original quilts had 10 shades of green or blue in them. There’s not any white, although the lightest shades definitely read as a white in photos. 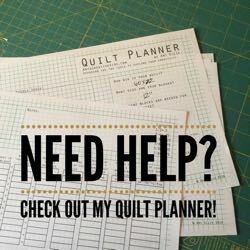 That does help a lot because when you look at those pictures of the blue and green quilts, it looks white and I was trying to figure out where the white is added into the pattern. I was confused because there was no direction about a “background” color being added. :-) Thanks for explaining! Now I understand why you chose so many different colors. Question for you: When you choose 10 colors for this waterfall quilt, how do you decide how much of each color to buy. I am a little stumped by this. Thanks! 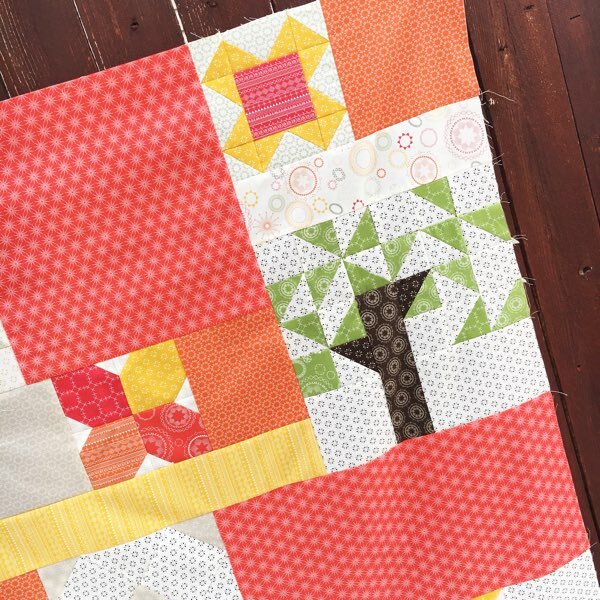 I tend to over buy for this pattern, so the twin needed 9 yards, I ended up with 9 1/2 – 10 yards, so that there were lots options as I was cutting and sewing my blocks. 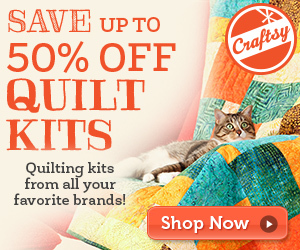 If making a smaller quilt I would buy in half yards for some of the deeper tones, and a full yard in the mid tones. I’m making the throw this time and pulled 21 different fabrics – oops! Way too much fabric, but they aren’t all full 1/2 yard cuts even. It’ll be a little more scrappy this time around. I wonder if I could use Moda Gradients fabric for this?